Do you love wine? Do you love sunshine? If you answered yes - then come taste a flight specially designed for you! 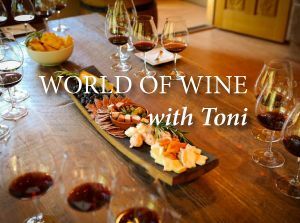 Join Dobbes' Wine Educator Toni Harris as she helps set you up for summer with an exploration on the white and light(er) side of wine. Club members, log in with the email associated with your club membership and enter coupon code WOWCLUB15 at checkout to receive $15 off your ticket price. Gold Club members receive $30 off per ticket - use code WOWGOLD30 at checkout.